Hope has created a foundation along with a fellow student to expose local youth to the visual and performing arts through an afterschool program. She is working on creating a non-profit organization to raise money to continue to fund this program and to offer it to all students in the tri-state area. Hope is extremely intelligent and dedicated. She has maintained a 4.0 GPA while taking courses at Mohave Community College and being extremely active in extra-curricular activities at River Valley High School. She will already have her Associate’s Degree from MCC when she graduates from RVHS. Hope has been very successful at balancing her time between academics, athletics, family, friends and her community. She plays varsity soccer and softball and is active in the National Honors Society and varsity Speech and Debate. She has always been and will continue to be committed to all things she puts her mind too. Hope plans to attend the University of California Los Angeles majoring in Biomedical Engineering with hopes to become an orthopedic surgeon. Ryder is a 4 sport varsity athlete who earned 1st Team All-Section honors in Golf while simultaneously earning Honorable Mention as the Football Quarterback. During this season he continued to improve upon his academic status as he is in the top 5% of his class, currently ranked number 1 of 450. Not only is Ryder a member of four athletic teams at Lake Havasu he is involved in multiple clubs on campus. He is a member of the Math Club, Close Up and serves as the Historian for the National Honor Society. Ryder is a leader in every aspect of the term. Whether it is at home, in the classroom, or in athletics there is no one better at handling all three. Not only is he viewed as a leader by his teachers and administrators, but by his fellow peers and competitors. Ryder takes the responsibilities of the roles with great pride and honor. With being a multi-sport athlete, a dedicated student and an involved member of the community, Ryder sets a strong example for other students looking to combine academics, athletics and leadership into their high school experience. Ryder is still undecided but hopes to attend a 4-year University to study Engineering. Jonathan has been in the coaching world since 1994. He has taught many different sports but has settled with basketball. In 2009 Jonathan became the boys’ basketball head coach at Glendale Prep until 2011 when he switched to the girls’ basketball head coach. 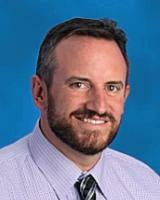 In 2007, he became the Athletic Director a GPA and continues to coach the Girls basketball team. Coach Clark holds high expectations for his players – both on and off the field. They are taught to learn how to win and how to be winners in a much broader sense of the word. 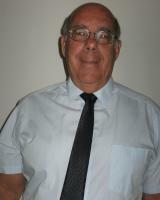 Jim has been the head boy’s soccer coach at Chino Valley High School since 1990 and has the results to show for it. Coach Clark has reached the State Championship four times while at CVHS. He has also been selected as the Division IV Boys Soccer Coach of the Year in 1999, 2008, 2012, 2013 and 2014. Not only has Coach Clark proven himself as a coach, he has also developed a Student Assistance Program at Chino Valley. This program was a substance abuse and group counseling program that used outdoor adventure to build students self-confidence and a sense of belonging for at-risk students. He took this group to Colorado, canoed Black Canyon of the Colorado River; they went rock climbing and many more outdoor adventures. Not only is Coach Clark at influence to his players he helps to influence many more students at Chino Valley High School. In the last five years Coach Dumas has lead his Girls Basketball team to the State tournament four times and have won two state championships. Tyler has always envisioned a true community concept in building this program and creating a culture based upon hard work, accountability and a sense of selflessness. He has a vision not only for the basketball season but for each of his players. Overcoming defeat, injuries and challenges off the court, the team remained focused on the bigger picture – the D I state title. A vision setter, trusted leader, problem solver and good communicator, Tyler Dumas possesses strong leadership skills. His coaching has promoted a level of pride that is evident school-wide through a team of girls that because of Coach Dumas now have futures that would otherwise be impossible. Through accomplishments both on and off the court Tyler has demonstrated that he is indeed one of the best coaches one will ever encounter in a school or even in life. Courtenay is involved in many ways around campus. 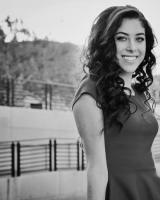 She is a member of the National Honors Society, joined the Handbells Choir her senior year, has had significant roles in the school theater productions, and has participated on the schools Tennis team all four years at Desert Christian. Courtenay captured one of the lead roles in Desert Christian’s musical production of “The Sound of Music” this year as well as holding important roles in her sophomore musical “Guys and Dolls” and her junior musical of “Les Miserable”. She has a quiet demeanor but is a strong influence among her peers. She excels academically while staying involved with her extra-curricular activities. With all the time she puts in she continues to maintain a 4.0 GPA and has served over 100 community services hours while attending Desert Christian. Courtenay sets a high standard for herself and she strives to be an excellent role model for those around her. Courtenay plans to attend Belmont University to become either a Musician or Songwriter. Nathan is an excellent and well-rounded student demonstrating superior intellect and broad array of interests. He is well respected by his team mates and served as the Team Capitan during the 2014 Swim season. Not only was Nathan involved in the Swim program at DCHS he was significantly involved in the musical productions the past two years. He is extremely talented in the arts. Nathan has held lead roles in the plays and musicals, participated in the school hand bell ensemble for over four years and has added drum playing with the school worship group. 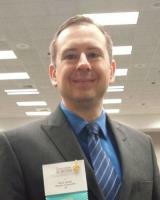 Nathan is a powerful force in shaping the culture and climate of the Desert Christian campus. He leads in a quiet way but the students respect what he has to say. He is an excellent student and community servant. Nathan is the type of leader that is often involved in campus activities, not in the spotlight, but as the one serving on the side. He is greatly respected and trusted by his peers and teachers. Nathan was chosen as one of the school delegates to Boys State his junior year and attended the HOBY leadership conference over summer. 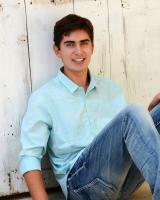 Nathan plans to attend the University of Arizona Honors College to study Electrical Engineering. As Valedictorian, high school Chess Capitan, Junior High Chess coach and high school Speech and Debate Co-Capitan he continues to give back to his community as well as being a part of the Gilbert Classical Academy Student Government. Not only does Justin demonstrate good sportsmanship, he shows exemplary character in all areas of his life. Justin is a strong academic student and maintains a high GPA while taking Honors and AP courses. He has even taken college courses while balancing his high school academics and extracurricular activities. Justin has been involved on his Chess and Speech & Debate teams all four years at Gilbert Classical Academy and has truly excelled in both activities. He understands that although matches can be competitive the sportsmanship to him is committing to the game and striving for victory but realizing that the rivalry between components didn’t extend outside the sport. He has tried to instill this in his fellow teammates as well as to his Junior High Chess Team. Justin plans to attend Davidson and hopes to study either Law or Public Policy. Kaitlin is one of Xavier’s finest student leaders who display a dedication to academic and personal excellence to a degree rarely observed. Her achievements are especially notable when one considers that she elects to the take the most rigorous academic course, regularly competes as a member of the Speech and Debate team, and is Capitan of the Lincoln-Douglas Debates. As the editor, Kaitlin coordinates the art selections of Xavier’s creative magazine, Pierian Spring. She also serves in the elective office of Activities on the Executive Board Student Council. Kaitlin is in Xavier’s Great Books Program, which includes the top 30 students that read well above their grade level. She excels in her academics because of her dedication, her preparedness and her desire to learn. However, she is not just academics. She has devoted more than 300 hours during her four years at XCP to volunteering. Katilin has a true heart for charity and is a caring and generous young lady. Kaitlin is currently undecided where she will attend college but she hopes to pursue law. Adam makes a remarkable impression on people not only because of his prowess in the shooting range, but more so because of the incredible challenges he has had to overcome during his high school years. After a tragic family accident Adam took up JROTC Air Rifle his sophomore year and never looked back. He competes at both a state and national level with his shooting abilities. He scored the highest mark in the nation this year and won both the state and regional contests. Adam recently competed in the JROTC Nationals and finished in seventh place. Not only has Adam excelled in Air Rifle at Flowing Wells he continues to strive in the classroom. Adam ranks 62 of 297 seniors and has a 3.43 weighed GPA. His academic strength has been math and was enrolled in AP Calculus his senior year. Adam has been able to take his tragic loss and used it to reach out to other students that have experienced personal loss as well. He represents both himself and others with pride and is truly a success story. Adam is undecided on where he plans to attend college. However, he hopes to pursue a degree in Nuclear Engineering as well as to be an Olympic and/or Military Service Rifle Champion. Jessica is committed, highly motivated, and focused on her success as a student, her success as an athlete, and most importantly, the success of her team. Academically, she has chosen the higher path. She strives for excellence, not just meeting the minimum standard but strives for much more by taking some of the most rigorous courses offered at Sabino. Jessica has been a part of the Cheer squad since her freshman year. She has been a part of the team that became runner up in 2014 and came in third place in 2015 at the State tournament. 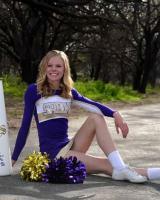 Jessica was also named “Rookie of the Year’ for the Sabino Varsity Cheerleading team in 2014. She helps push her fellow team mates during difficult situations and truly is a model student-athlete. 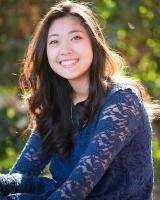 Jessica plans to attend the University of Arizona to study accounting. As the President of National Honor Society and Vice President of Speech and Debate, Cynthia has a true desire to make the most out of her years at Mesquite High School. She was deemed runner-up in Public Forum debate at the Division I State Championships. Off campus Cynthia has dedicated many hours to volunteering. She dedicated two hours a week at the Hospice of the Valley as an Assistant Caregiver, she has also volunteered at Feed My Starving Children and Furever Friends Animal Rescue. Even though she is involved in an array of activities both on and off campus, she has earned an overall GPA of 3.94 and is ranked fifth in her class of 477 students. Cynthia has earned the distinction of being the Salutatorian of her graduating class as well. She continues to set high goals for herself and enjoys the challenge of reaching them. She truly demonstrates academic skills, initiative and leadership that will enable her to be successful. Jun is an exemplary student who is driven to give his personal best in the classroom and in his extra-curricular activities. 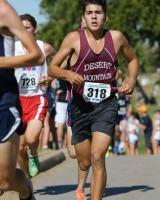 During his four years at Cibola High School, has been on the Honor Roll, A Team and participated in Academic Decathlon. His extra-curricular activities include; Tennis, Chess Club, GATE, National Honor Society and Treasure of Interact Club. Jun is a young man that has shown time and time again that he can balance the demands of rigorous AP Course work while staying involved in school sports, activities and Church based community services events. He competes at a very high level and was number 2 on his Chess varsity team. He has the ability to take lessons from his involvement in activities and applies them to his studies. Jun plans to attend Arizona State University and hopes to study Optometry. Alyssa has competed in four years of basketball and volleyball and three years of track and field while at Valley Christian. As a basketball player, she has been a two year starter and helped her team win back to back section championships as well as get to a 65-2 record this year. As a volleyball player, she was also a two year starter and made it to the state tournament both her junior and senior years. Not only has Alyssa been a key competitor in basketball and volleyball she also was a strong distance runner for the track and field team for two season her freshman and sophomore years. Academically, Alyssa has received different college scholarship offers because of the course load she has taken during her time at Valley Christian. She has maintained a 4.0 GPA while participating in athletics and has become one of the top athletes at VCHS. 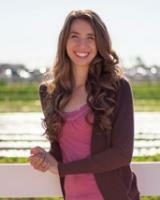 Alyssa plans to attend the University of Concordia Irvine and hopes to study to be a Physician Assistant. 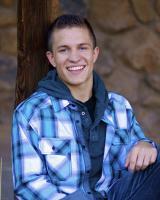 Athletically, Zach is one of the most gifted students to attend Desert Christian High School. Although his first love is baseball, where he will soon be living his dream of playing at the colligate level, he has also excelled on the basketball court. Zach has stepped up his leadership on campus this year and chose his EXPO project to be President of the FCA (Fellowship of Christian Athletes) club. Zach has demonstrated his remarkable ability to lead others throughout his nearly four years at Desert Christian High School. Zach is a four year starter on the Varsity baseball team and a 3-year starter for the Varsity basketball team and holds many individual records in both sports. Not only is Zach recognized on the court and field but he has a very strong work ethic in the classroom. He is currently tied as number 1 in his class of 45 with a 4.0 GPA. While maintaining this GPS and class ranking he is also pursuing activities off the court and field. He has been involved in the National Honor Society and Vacation Bible School as well being a volunteer coach for Zona Volleyball Club. Zach is truly respected by his peers and motivates them by his intensity, encouragement and high level of play. He has a sacrificial attitude and is willing to pour out his heart to achieve a goal. 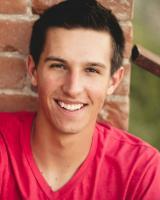 Zach plans to attend Grand Canyon University to study Sports Management. 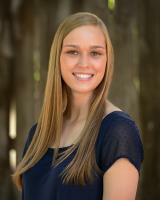 Calli has started for the varsity volleyball and softball teams for three years. She has demonstrated leadership qualities beyond her years and has made the softball team at Academy of Tucson much more than a sports organization. Calli was voted to the Southern Arizona All-City Team by coaches in the entire area for her clutch hitting and sportsmanship. Not only does Calli put much effort in to her athletics at Academy of Tucson she also has put it in to the campus. She is the Student Body President as well as the Secretary of the National Honor Society. She is at the top of her class holding a 4.0 GPA while continue to maintain the demanding load of her extra-curricular activities. 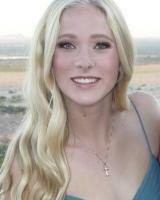 Calli plans to attend the University of Arizona and hopes to study Physical Therapy. His academic performance speaks for itself with his grades, challenging course load and his desire to take every advanced course officered at Valley Christian. Gavin will be graduating number 1 in his class of 75 and has been named his class Valedictorian. He was a Commended Student in the 2015 National Merit Scholarship Program and carries a 4.0 GPA. Not only has Gavin excelled tremendously in the classroom he has been a part of the Valley Christian golf team all four years. He has added great value to the team not only with his great aptitude and ability for golf, but also with his leadership abilities. In short, Gavin is a rare student athlete that works hard to be the best while humbly and sincerely lifting those around him up. Gavin plans to attend William and Mary University on a golf scholarship and will study Pre-Med. Jenna is an exceptional young woman who sets herself apart by her intense work ethic both on and off the court, her high moral character, her unselfish commitment to her team, academics and personal goals. Even though Jenna competes in volleyball year round along with being involved in the Fellowship of Christian Athletes as well as well as Young Life, she has maintained a 4.46 GPA in Honors. Through Jenna’s hard work and competitive nature, she has earned herself multiple awards this season. She was selected as the AVC A Under Armor First Team All American, AZ Gatorade Player of the Year, AZ Republic Big School Player of the Year, Tempe All City and was voted by her peers as Desert Vista’s Most Valuable Player 2014. Even with all the awards and success in her academic and athletic career to date she is able to stay humble. She is a mature, responsible student-athlete and is able to have a cheerful and positive outlook on life. Jenna’s passion for volunteer work is evident within her Church, school and community. 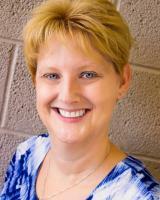 She is actively involved in her church as a Young Life Leader, High School Ministry Leader and Bible School Volunteer. Jenna will attend Pepperdine University with a full ride. She will play sand and indoor volleyball and hopes to study to be an Illustrator or a Physical Therapist. Matthew is driven in both athletics and academics. 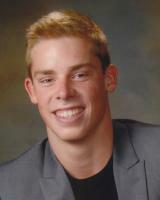 He has been a member of the varsity swim and dive team all four years at Arcadia High School. It takes dedication and drive to be a varsity athlete as well as a lot of discipline to compete on sports teams and keep up with academics as well. Matt is a great leader and was Capitan of the swim team this year. He was a Western Sectional qualifier each year from 2011-2014 and a US Open qualifier in 2014. He also holds numerous school swimming records and was an All-City athlete the past three years. Matt holds a 4.767 GPA and is at the top of his class and has excelled in the most rigorous Honors and AP courses available at Arcadia. He is an intrinsically motivated student, who is more interest in gaining a genuine understanding of the courses he takes than simply earning a top grade. Matt is also a wonderful member of the community, both on and off campus. On campus he is a member of the National Honor Society, an office in the Chemistry Club, the Health Occupation Students of America Club, and Arcadia’s Less Than Three Club. Off campus he has been an active member of the Boys Team Charity and the Young Life Program for the last six years and is a member of the Phoenix Swim Club. Additionally, he has volunteered at the Scottsdale Healthcare Osborn Medical Center as well as St. Joseph’s Hospital and Medical Center. Matthew plans to attend Stanford University and study Neuroscience. Maintaining a 4.7 GPA Jacqueline has also served as a coach for youth volleyball, a Teen Leader at the AZ Science Center and CEO of her own business; Pause for Friends of the Paws. 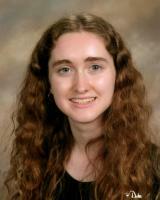 She has been commended by the National Merit Scholarship Corporation for her score on the PSAT of a 209+ this fall. Being enrolled in some of the most rigorous courses offered at VVHS, she has prepared herself to pursue her goal of studying engineering in college. Not only has Jacqueline excelled in her academics she has participated on the track and field team all four years at Valley Vista as well as the volleyball team for three. 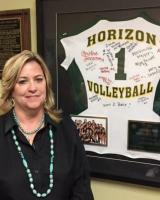 Not only has Jacquie participated in her school’s volleyball team she has been extremely involved in her National Club team that travels all around the US in qualifying tournaments that has led her to be on a nationally ranked club team. Jacquie has committed to play volleyball with UCSD and hopes to excel on and off the court. 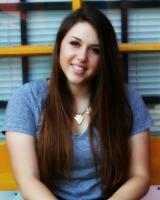 Jacqueline plans to attend the University of California San Diego and hopes to study Biomedical Engineering. Kelly’s efforts and leadership in the academic area, where she has maintained a 3.97 GPA in Honors and AP coursework, as well as her achievements in the athletic area, including a 2015 sectional championship and AIA State Division I runner up finish, are among the very best of student athletes at Corona del Sol. 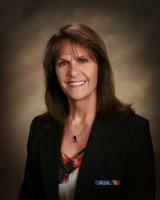 Kelly achieved many successes while running for Corona. She has been named the Cross Country Regional Champion her junior and senior year as well as the Cross Country MVP. She has broken the school record for the 3200m that stood for over 10 years and is on her way to breaking the 1600m as well. She has proven to be a disciplined and dedicated athlete and student and will put that effort into her future endeavors. Kelly plans to attend Iowa State University and hopes to become a Community and Regional Planner. Collin is exceptionally personable, well liked, and respected by his classmates, teachers, coaches and the administrators at Coconino High School. In addition to his extraordinary athleticism, he is an excellent student and has worked diligently to maintain a strong 4.15 GPA while carrying a rigorous academic schedule. 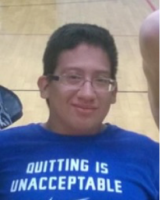 Collin embodies many characteristics that make him stand out from other students. He excels academically and is a disciplined and gifted wrestling. Throughout his time at CHS he has shown equal persistence and dedication as an athlete and a scholar. Collin spends many volunteer hours mentoring younger students from the middle and elementary levels after school. He also assists his wrestling coaches by spending hours with younger students from the community. Collin has been a great mentor and academic tutor to many people in the community as well. 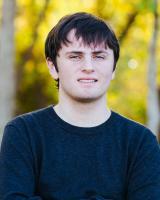 Collin is still undecided where he will attend but he hopes to study Mechanical Engineering. Nick has shown much dedication to his team and determination to achieve not only athletic accomplishment but academic excellence as well. 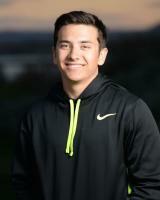 Nick has demonstrated his athleticism participating in cross country, track, baseball and wrestling while at Sabino. 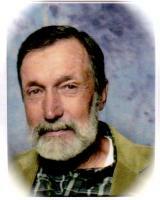 He earned his Eagle Scout Award in eighth grade working with the “Youth on Their Own” group as his Eagle Scout Project. He has also given his time to another local group, “Ben’s Bells” promoting random acts of kindness, and the Tierra Antigua Reality clothing drive. Nick is a young man that understands and embodies the ideal of commitment to others, his peers, his teachers, his coaches, and this country. Nick is committed, highly motivated and focused on being the best and being of service to others. 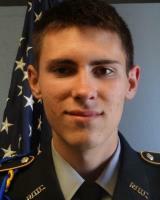 Nicholas plans to attend the US Air Force Academy and hopes to study Aerospace Engineering and to become a USAF Officer. 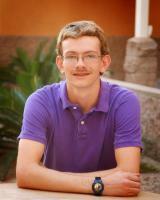 Alan is an 18-year-old senior attending Estrella Foothills' High School in Goodyear. He lives with his dad, Joaquin, and his older brother Luis. Alan loves to spend time with his family and friends. He has a passion for sports, particularly basketball and football and attended virtually every EFHS football and basketball game. Alan was also recognized as Student of the Month for his schools magazine this past October. Despite volunteering in many realms, playing high school baseball and maintaining a 4.18 grade point average, he would always find time to share his energy and talent with our Special Olympic athletes. In addition to all of Brock's responsibilities, he is also a teacher's assistant. As a teacher’s assistant in a classroom designed for students with moderate to severe special needs, Brock represents leadership in every aspect. Through hard work and strong personal character, Brock is a role model student and all students respect him. Brock is also very responsible to his work and is able to handle the pressure of motivating and assisting students with special needs during all Special Olympic events and activities. He has an extremely cordial personality and is popular among his classmates as he shows great consideration and deep respect for others. Being honest and hardworking, he demonstrates exemplary behavior and excellent study habits. Brock is also very competitive and he enjoys sports as much as anyone. During Unified competitions Brock's competitive spirit was twofold; he pushed the athletes/partners on his team and encouraged success for his opponent. He was the first person to shake the opposition's hand after a play in the midst of competition. Brock embodies the idea of inclusive sports. For him, it's very natural and everyone around him benefits whether you're on his team or playing against him.